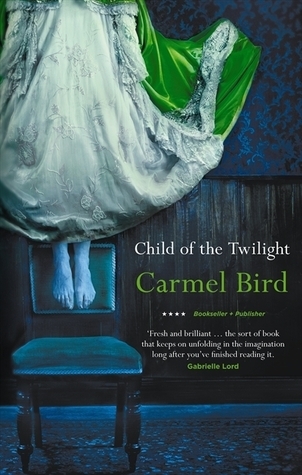 Carmel Bird is a prolific Australian author of novels, short stories, essays and books about the craft of writing. I have previously read her 1998 novel Red Shoes and a collection of short stories called Automatic Teller (1996) and also Fair Game (2015) published in the FL Smalls Collection. Child of the Twilight (2010) is her ninth and most recent novel. It’s a delightful book. Very playful, and subversively witty. A companionable narrator with a confiding tone whisks the story along, charming the reader with the tale of its eccentric cast of characters, almost all of whom have suffered a loss that clouds their days but not their faith. (Faith in God, faith in miracles, faith in people, faith in the future). Only the narrator claims not to believe in the spiritual, being herself a child conceived through a medical miracle, not a religious one. The event that the novel plays with is the second theft of the Bambinello, a 14th century statue of the infant Jesus, said to be carved of olive wood from the Garden of Gethsemane and the object of veneration because it is associated with many miracles. Its shrine is in the Basilica of Santa Maria in Aracoeli in Rome. Covered in jewels bestowed by the faithful, the Bambinello was stolen twice, in 1797 by the French Army and ransomed; and again in 1994, so (if Wikipedia is correct) its current whereabouts is unknown. The original was subsequently replaced by a copy, which was itself stolen in 2011 (i.e. after Bird’s novel). The eccentric characters in Child of the Twilight vary in their attitude to the Bambinello. The Narrator is amused that her (non-biological) mother prayed to it. Father Roland – who was present on the day of the theft in 1994 – is ambivalent. Quizzed by Cora the Fertile, a bored teenager whisked away from her boyfriend to Rome, Roland the Good seems unsure about the miraculous properties of either the original or the copy. His faith in God seems intact but since the death of his twin, not his faith in the Bambinello. Cora’s chaperones, her stolid art teacher Rosita the Spinster, and her aunt Diana the Manipulator are romantics who are inclined to believe that the original may have chosen to leave and the copy operates as before with its blessing. Anyway, I am intrigued. I must find these backlist novels and read them! See also a review at Overland. Try the Op Shops and your library. I reviewed ‘Cape Grimm’ when it first came out. Seeing your mention of it here reminded me of some of the ghastly detail. It’s interesting that a trilogy can encompass a study of evil like that, with, as you say, a light-hearted, playful novel. The whole thing is bizarre. I can only assume that it was stolen for religious reasons, either by someone who wanted to pray to it, or by someone who knew someone who would buy it to pray to it.